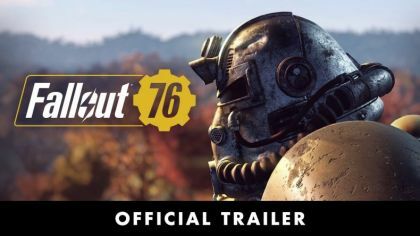 Bethesda Game Studios, the award-winning creators of Skyrim and Fallout 4, welcome you to Fallout 76, the online* prequel where every surviving human is a real person. Work together  or not  to survive. Under the threat of nuclear annihilation, you'll experience the largest, most dynamic world ever created in the legendary Fallout universe. Reclamation Day, 2102. Twenty-five years after the bombs fall, you and your fellow Vault Dwellers  chosen from the nation's best and brightest  emerge into post-nuclear America. Play solo or band together as you explore, quest, build and triumph against the wasteland's greatest threats. Go it alone or with fellow survivors to unlock access to the ultimate weapon  Nuclear Missiles. This destruction also creates a high-level zone with rare and valuable resources. Do you protect or unleash the power of the atom? The choice is yours.